A pair of tufted ducks, Aythya fuligula, male left and female right. 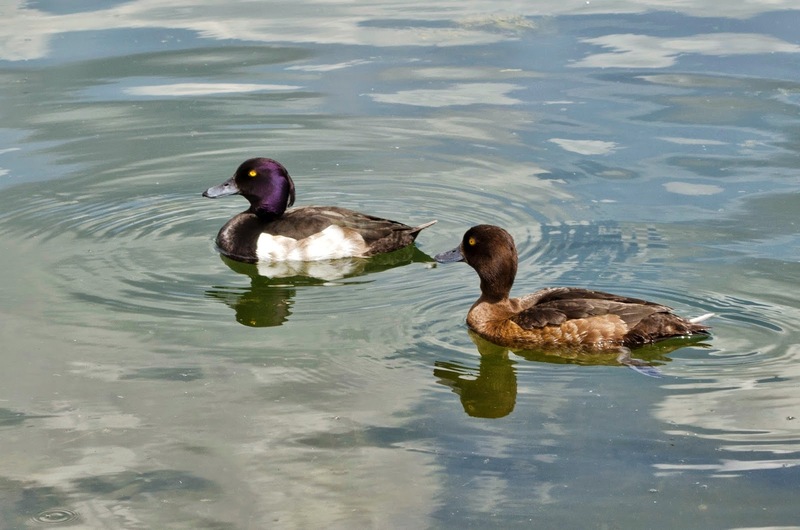 I photographed this pair of tufted ducks in a pond in a park in London where they are common. The male's eyes are bright yellow, his beak is blue with a black tip, and he has a conspicuous tuft of feathers on the back of his head from which the species gets its common name. Breeding season has passed and this male is changing into eclipse plumage; in a few weeks his white flanks will be brown. When breeding, his dark back and breast are black, his head has an even brighter purple and green gloss, and his white flanks are brilliant. 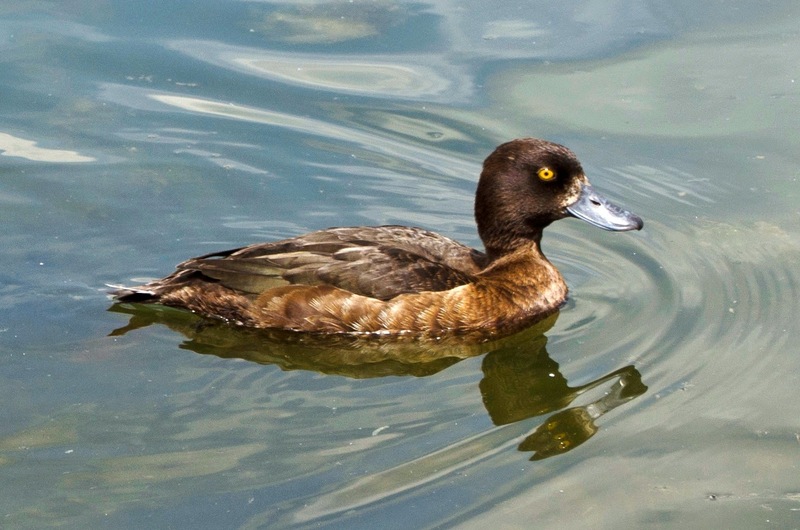 The female tufted duck is brown with yellow eyes and a dark bill. 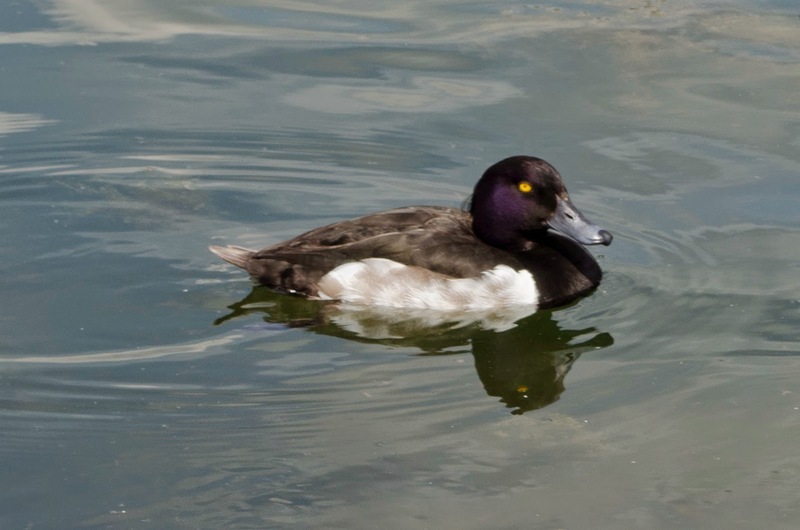 Tufted ducks are common throughout Eurasia. In winter, they sometimes show up on either coast of the United States and Canada. Rare bird alerts go out and birdwatchers rush to see them and check them off their life lists. Your blog is delightful. Your photographs are excellent and so nicely done... It would be lovely to read about your photographic techniques and equipment!